The following will review some of the key configuration points of the DAR - Donor Advised Grant Request Part. The Donor Advised Grant Request Part part provides functionality for a fund adviser to submit a recommendation to give a grant to a recipient as well as to enter the amount and select the fund. The resulting grant recommendation is sent to GE. This is a guide to essential configuration points on the Donor Advised Grant Request Part. If you have any additional questions on this part please review the NetCommunity for Foundations Guide. 1. Fund Selector Format - you can specify how the fund name/number/descriptor appears to the user. This allows you to use any combination of fund information to provide a name/descriptor that the user is certain to understand and recognize. To see all the elements and descriptions please review pages 6 -7 in the NetCommunity for Foundations Guide. 3. Administrative Role: This is a NetCommunity created role that allows any user in this role to view ALL FUNDS in the Grant Request Part. 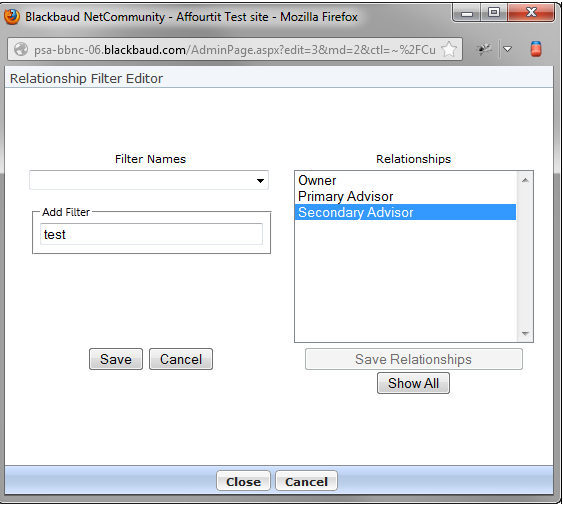 If you enable this, you must also check the Enable Admin Role checkbox. NOTE: Viewing the Grant Request Part as a System Fund Administrator will greatly affect the loading of the part/page since so much data must be accessed. 4. Fund Transfers: This is also known as Inter-Fund Transfers. 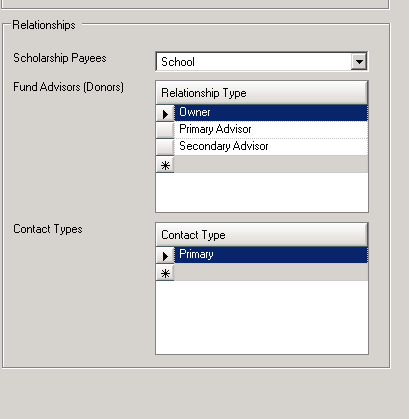 This option will allow the donor to request a transfer of money to a different Fund. 5. RE Eligible Target Fund Query: An RE Fund query must be created to have a list of funds for the inter-fund selection process. 6. Allow Inter-Fund Transfers to the Advisor's Other Funds: Allows the requester to see their own funds (assuming they have multiple funds) in the list of available funds even if they are not included in the query referenced in number 5. 7. 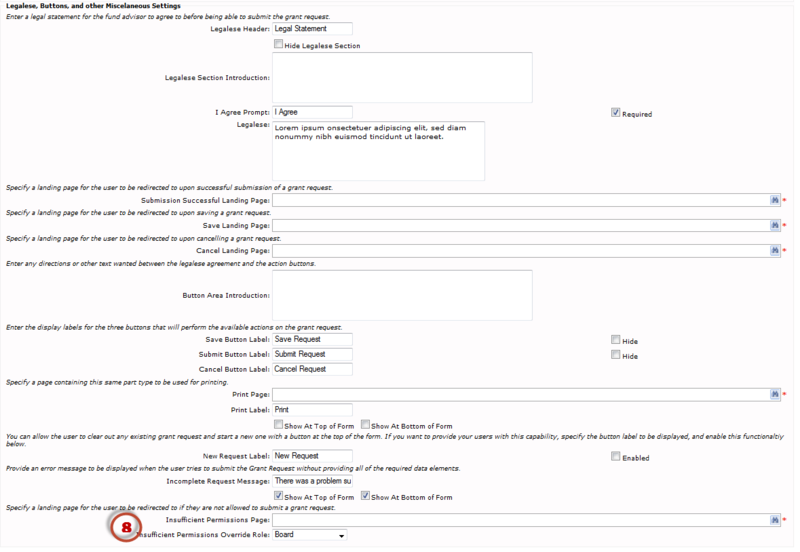 Grant Type Recipient and Fund Transfer Prompts: Configure the text listed in the Grant Type Fund Transfer Prompt and the Grant Type Recipient Prompt to allow the requester to select whether to make a grant recommendation to a specific recipient or a specific fund. 8. Insufficient Permissions: This is the landing page to redirect the user to if the user attempts to access a part but is not configured as a Fund Advisor for any fund. A user who is not a Fund Advisor for any fund cannot submit a grant request. You can select a role that can still see the part on the page even though they may not be a Fund Advisor for any funds in GE/RE.